Scholarship Fund and a local Cancer Support Group. Runners and walkers of all ages are encouraged to participate. 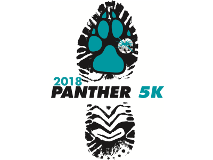 Proceeds go towards a scholarship fund in memory of Lisa Meitin, the wife of Lakeside head cross country coach Jerry Meitin, who lost a five year battle to ovarian cancer on January 24, 2012. All entrants pre-registered by Jan 30 will receive a race shirt and swag bag!! Runners must be registered by 8:00am race day. T-shirt size and availability guaranteed to participants pre-registered by Jan 30, 2018 only. T-shirts will be distributed to pre-registered entrants at packet pick-up on Friday and on race day beginning at 7:00 AM. Late and race-day entrants may pick up their shirt after the race while supplies lasts. T-shirt size and availability only guaranteed to qualified pre-registered entrants who pick them up by race time. We will not be able to hold shirts after race day.